The Magic Moomin potholders contain a touch of magic. The Moomin characters are enjoying their night by the dark blue sea. Magic Moomin is an original pattern designed by Tove Jansson, and its vibrant colors are sure to fascinate children as well as adults! The potholders are durable and insulate heat well due to their thick stuffing and strong cotton cover. The Magic Moomin (Finnish: Taikamuumi) potholders contain a touch of magic. The Moomin characters are enjoying their night by the dark blue sea. Magic Moomin is an original pattern designed by Tove Jansson, and its vibrant colors are sure to fascinate children as well as adults! The potholders are durable and insulate heat well due to their thick stuffing and strong cotton cover. 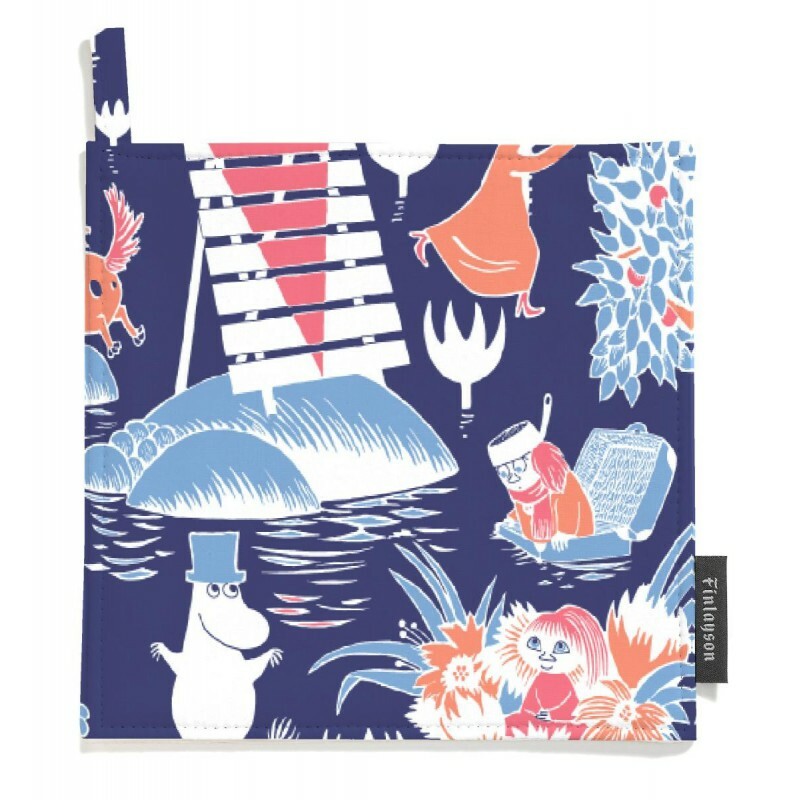 The Finlayson Moomin products are all designed according to the original drawings by Tove Jansson, and are all ©Moomin Characters™ licensed products.